The Astonishing New Graphic Novel from the World Fantasy Award winner! The ants have lived in peace for years, behind the wainscoting of the house. But when the house’s occupant, Adolf Hitler, becomes haunted by nightmares in which he is consumed by ants, he becomes obsessed. Afraid he is losing his mind, the desperate Hitler reaches at last a final solution: the ants must be exterminated! 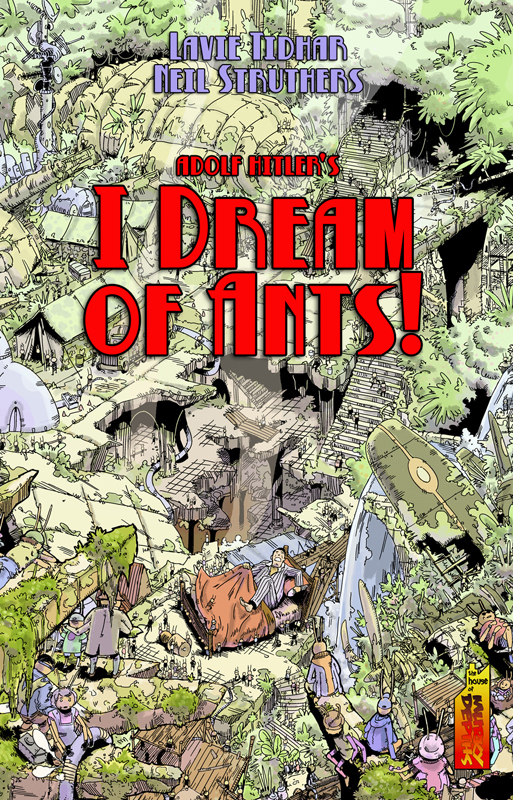 As war breaks out, the ants must undertake a perilous journey into the depths of the house to try and find the promised land. But in the desperate war between Hitler and the ants, nothing is certain. A strange and hallucinatory mix of history, pulp, sci fi movies and comics tropes that form into a new, unsettling whole, as only the author of Osama could provide! A graphic novella first serialised in Murky Depths magazine. 36pp. Art by Neil Struthers.